Officials with The Stronach Group have called what it refers to as an “urgent meeting” with horsemen at Golden Gate Fields to discuss the future of the Northern California racetrack it owns. The Stronach Group and the California Horse Racing Board are at an impasse over the company's application for a license to its upcoming meeting at Golden Gate. The company wants to run its simulcasting business – a big share of handle in Northern California – without going through an entity known as Northern California Offtrack Wagering Inc. (NOTWINC). A similar business, Southern California Offtrack Wagering Inc (SCOTWINC) exists in Southern California. 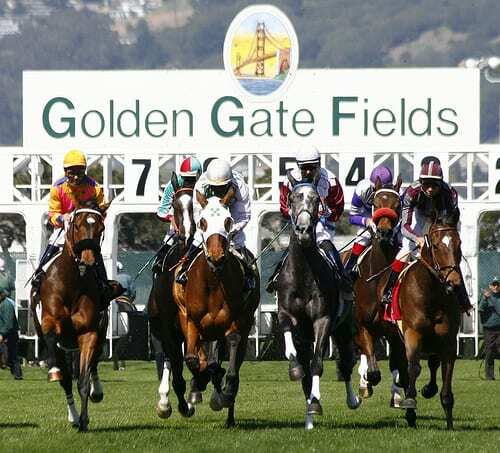 The CHRB has said it cannot license Golden Gate Fields for its live meeting unless it works with NOTWINC. Tim Ritvo, chief operating officer for The Stronach Group, has made no secret of his desire to run year-round at Golden Gate Fields, following a similar model at the company's racetracks in Florida and Maryland. That would likely put an economic squeeze on county fair races that currently operate during the prime racing dates in summer and have significant clout in the state capitol in Sacramento. “The TOC issued the following statement in response to the growing controversy over the upcoming CHRB hearing on Golden Gate Fields'application for a race meet from Aug. 22 to Oct 2, 2018. “The issue at hand is Golden Gate's stated position in its race meet application that it will not utilize the Northern California Offtrack Wagering network. This position is not a secret, as Golden Gate gave its 90-day notice in March to withdraw from the network effective June 12. “In 2017, the Northern California off-track network, consisting of 10 satellite wagering facilities, handled a total of $108.4 million or 41% of total wagering in Northern California. Wagering from this network was responsible for purse revenue of $6.6 million, or 46% of the total purse revenue generated in Northern California. “Although Golden Gate Fields made its decision to withdraw from the network in March, it has yet to present any economically viable or realistically implementable plan under existing law for replacing this handle in the event the network is closed. There are also complex legal questions regarding the ability of a live racetrack in California to operate without a simulcast network. As an example, Los Alamitos today filed a legal proceeding in the Superior Court in Orange County against the CHRB claiming it has no legal right to approve Golden Gate's license application without the inclusion of the NOTWINC network. This entry was posted in NL Article, The Biz and tagged California Horse Racing Board, CHRB, golden gate fields, Greg Avioli, northern california offtrack wagering inc., NOTWINC, SCOTWINC, southern california offtrack wagering inc., The Stronach Group, thoroughbred owners of california, Tim Ritvo, toc by Paulick Report Staff. Bookmark the permalink.